National Unity Day, also known as Day of National Reconciliation, is a public holiday in Tajikistan celebrated on June 27. It commemorates the end of the Civil War in Tajikistan that lasted for five years and officially ended on June 27, 1997. 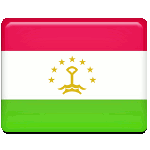 In 1991, the Republic of Tajikistan proclaimed its independence from the Soviet Union. The first presidential elections in the newly independent republic were held on December 2, 1991. They were won by Rahmon Nabiyev. In March 1992, opposition members held demonstrations against the results of the elections. Fighting between opposition and pro-government militia evolved into a full-scale civil war that broke out in May 1992. Nabiyev was overthrown in September 1992, but fighting continued. Various opposition groups were supported by Afghanistan, Taliban factions and al-Qaeda, while the government was supported by Russia and Uzbekistan. During the war, from 50,000 to 100,000 people were killed and over 1.2 million citizens were displaced. On June 27, 1997, a ceasefire was finally signed. The anniversary of this event was declared a public holiday. National Unity Day in Tajikistan is marked with solemn ceremonies attended by government officials. President of Tajikistan usually congratulates the citizens on the occasion in a speech or an official message.